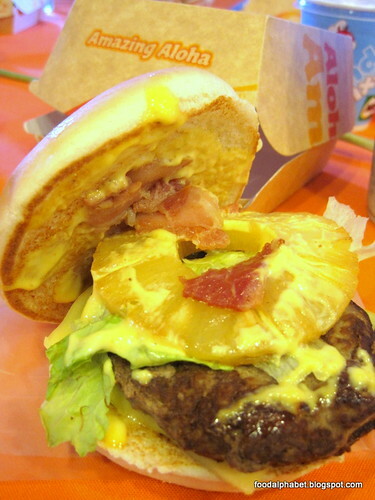 The Food Alphabet and More: Jollibee's Amazing Aloha is back!!! + Get them for FREE today! 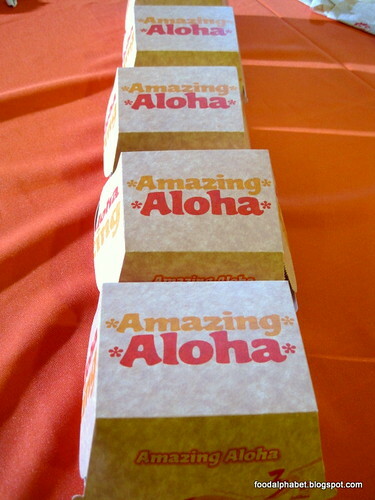 The first 100 customers of the 35 participating Jollibee stores will be giving away coupons at 2:30 PM today, May 15 for a FREE Amazing Aloha burger, customers who gets this coupon will line up to get their FREE Amazing Aloha, time of redemption is from 3:00 pm to 5:00 pm only at the branch specified. See if you're near any of the branches below and line up for that FREE Amazing Aloha! Only from Jollibee. Grab a bite now! MINDANAO: Buhangin Davao; City Heights Gensan; MTS Davao; Butuan Hi-way; Camins Zamboanga.